Zana is chief technology officer and co-founder of Vigilias Telehealth, an innovative telemedicine startup. He is responsible for strategic technology development, execution and implementation. He invented the world’s first smartphone-based, full-sized telemedicine cart capable of performing a full medical exam or MITEE (multi-modal, integrated, telemedicine exam equipment). 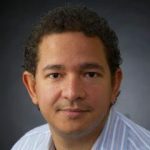 Zana studied mechanical engineering at the Massachusetts Institute of Technology before completing his medical degree and PhD in immunology at Tufts University. He is board certified in Internal Medicine, and has worked as a hospitalist since 2010. Zana is deeply interested in digital and precision medicine and is passionate about patient care.